DIGARC is a software company dedicated to creating inventive and innovative solutions for higher-education institutions. With clients ranging from Ivy League universities to small community colleges, they lead the market in catalog and curriculum management software, offering high-tech solutions with a personal touch. Digital Architecture was a successful higher-ed software company with a name recognition problem. Its best-selling product—Acalog—was both a blessing and a curse. As Acalog was cementing Digital Architecture’s position as a market leader for catalog management, it was also overtaking Digital Architecture’s identity. Even current clients were referring to Digital Architecture as “The Acalog Company.” If Digital Architecture was going to translate Acalog’s success into its other product areas, there was only one real solution: Bring back the brand. New name. New logo. New website. New everything. What’s in a name? Questions, apparently. To combat brand confusion (and the occasional “So what have you guys built?” phone call), we shortened Digital Architecture to DIGARC. Our job is significantly easier when the product is already beloved by its users. Then, all that’s left is to listen. Digital Architecture’s customers fell in love with the company’s game-changing software, but it was the diligent and devoted staff that kept customers coming back year after year. 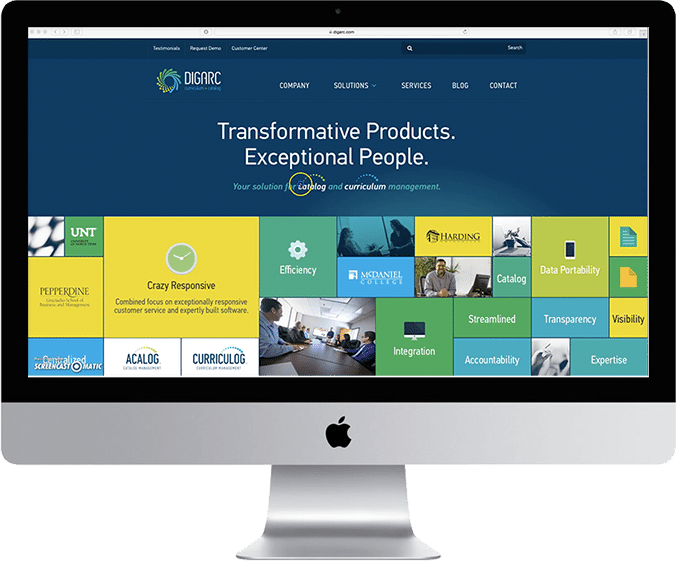 The tagline “Transformative products. Exceptional people.” seemed to write itself. You’ll find the transformative theme woven throughout DIGARC’s new website. 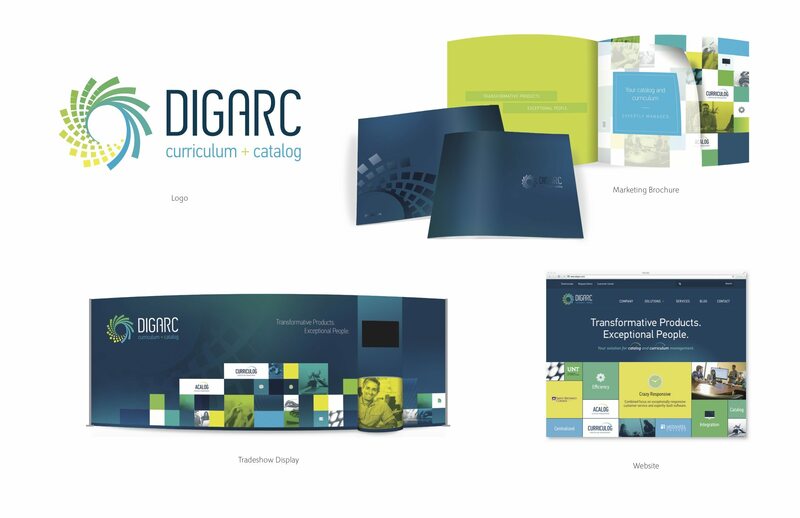 Unfolding squares allow potential clients to take a deeper dive into the product differentiators and qualities that set DIGARC apart. You’ve been to a trade show, convention, meeting, etc., right? You scoop up handfuls of pamphlets, look at a few, and throw most away. 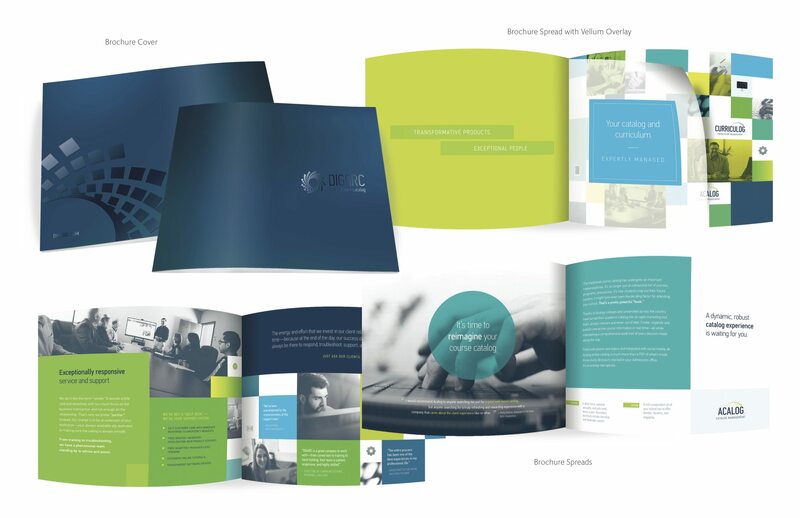 To avoid the circular file, we crafted a high-level brochure that spoke directly to decision makers with clean, colorful design and meticulous messaging. Trade shows are the bread and butter of DIGARC’s business acquisition plan. When you’re in a huge convention center, standing out is key. Let’s just say “impossible to ignore” was a requirement in the design brief. DIGARC took home “Best Trade Show Display” at SACSCOC this year. 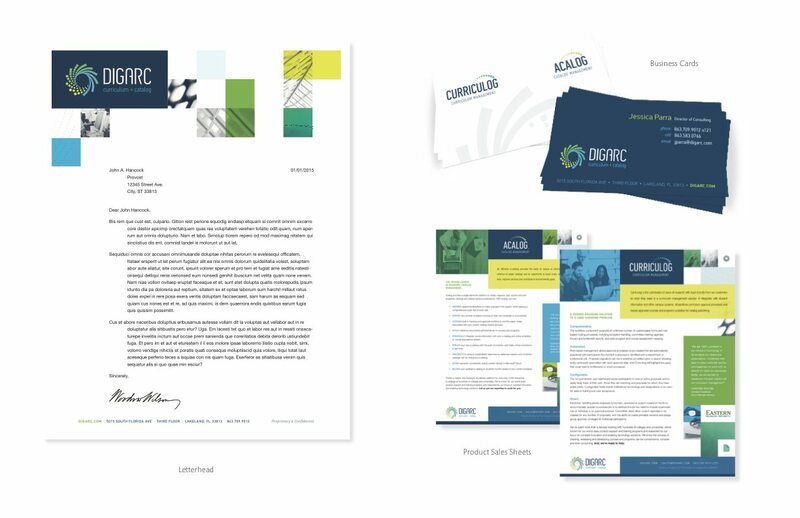 Now, DIGARC enjoys a cohesive brand that reflects its state-of-the-art software and market leadership. Acalog, Curriculog (and whatever comes next) coexist harmoniously in the same branded house.